Doesn't this look like the hero's ride in the movie Drive? Actually it's a 1973 Chevrolet press photo, touting the new Chevelle Laguna Colonnade Hardtop Coupe. It’s hard to pin down anybody connected with the movie “Drive” exactly why a 1973 Chevrolet Chevelle was chosen for Ryan Gosling’s ride. But, looking at it from the perspective of today, it was probably consistent with a hard economic choice that a car-savvy protagonist with a mysterious and troubled past might have to make. What makes a 1973 Chevrolet Chevelle special, in the automotive world? It’s not one of Chevrolet’s landmark models. It missed the Muscle Car era, and arrived just in time for a fuel crisis, 55 m.p.h. speed limits and an oil embargo. It wasn’t particularly powerful, but neither was it fuel-efficient. General Motors generally considered its cars from 1973-1977 to be an “all right” car that arrived at the wrong time. Looking at what was to come in the ’70s, ’80s and ’90s, it might have been Chevrolet’s Last Best Car. 1. The movie car is often identified as a “Malibu”. Malibu was a Chevelle trim line that year, not a model. Besides, the movie car looks (to me) more like the similar Chevelle Laguna Colonnade Hardtop Coupe. 2. 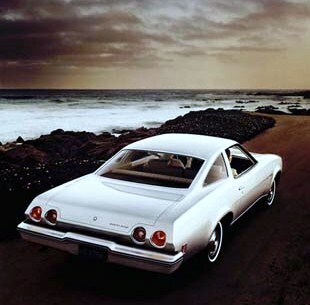 The Laguna Colonnade Coupe was a new trim pack for 1973 – and it was top of the line. If it came with options such as a 454-cubic-inch V8, a 4-speed transmission and a Super Sport package, it had an MSRP of a $3,202. 3. The 1973 model was the first year of the much-improved third (and last) generation Chevelle. The Chevelle nameplate would be phased out in 1977 – and replaced by the new Malibu model designation, which continues to this day. 4. The Super Sport, or SS, package first offered in 1961 was last offered in 1973. If the movie Chevelle had the SS package, it would have meant a reinforced chassis, beefier springs and shock absorbers, better brakes and special wheels and tires. 5. 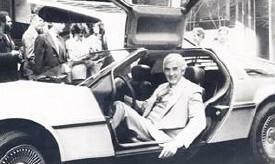 The 1973 Chevelle was the last car John Z. DeLorean had direct involvement in developing. He left G.M. in April 1973. 7. The 1973 Chevelle did not, however, make impressive amounts of power. 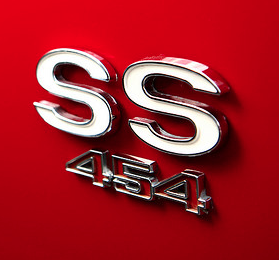 Even its top-line 454 produced a rather anemic (by today’s standards) 245 horsepower. 8. The 1973 Chevelle was among the safest cars built to that time. Its roof was improved for greater body rigidity and rollover protection (in anticipation of a new federal standard that never became law), and it had the industry’s first 5 m.p.h. crash-resistant bumpers. Note the broadside crash & the attributes of the 5 mph bumper. In the movie, this was a great advantage (never specially mentioned) for Driver’s Chevelle; its bumper-bashing prowess became something of a plot point (although it’s fair to say the movie car’s bumpers got a bit of strengthening from the special effects crew!). 9. Remember how Mr. Gosling’s character had an affinity for racing? A ’73 Chevelle Laguna would have been a nostalgic favorite for a stock car racer. That body style, with its aerodynamic “fastback” roofline, would become one of the winningest cars in NASCAR history. Indeed, many racing historians contend the Laguna was designed specifically to give Chevrolet a contender in NASCAR. Benny Parsons won the 1973 Winston Cup Championship with it; Bobby Allison and his brother Donnie, Cale Yarborough and Darrell Waltrip ruled stock car racing 1973-1977 driving Chevelles. 10. Today, even in ratty gray primer like the movie car, it might be worth three times as much. If you could find one. Despite the fact hundreds of thousands of them were sold “back in the day”, not all that many have survived. The ones that have, like the one belonging to Mr. Gosling’s Driver, are lovingly preserved and maintained. Maybe the ’73 Chevelle was a much better choice than it originally seemed. Nice story and info, always likes these Chevelle’s. Chevy SHOULD have given them some $$$…but they didn’t. I guess the wise crack about how anonymous the car was, at the beginning of the movie, may have not gone down well at Chevy HQ. BTW, I thought that opening car chase was a masterpiece of minimalism. cool comment jason, i agree with what you said 100%, i have a 74 el camino myself, so i know parts for these can be hard to find. do you have a GM from the same era? if you do, check out http://www.g3gm.com if your not already a member, its a website for the 73-77 a bodies, which helps looking for parts, tech, etc for the 3rd generation GM a body. Very cool post. Great to read some info written by a fellow gear head. Happy trails. Thanks. It was fun recalling how good these cars actually were! cool article, however the car in the movie was not a laguna model, as the laguna package came with the completely polyurethane, non-bumper front end used in nascar, it also had the turn signals mounted in the grill, round lights for 73, and square lights for 74′. I have one of the extremely rare 73′ laguna front ends on my 74 el camino. Travis is correct – the car in the movie was known as the “deluxe” version which directly relates to script when Standard refers to when he first met Irene and she asks him where the “deluxe” version is thus further cementing the character of the Driver as the alpha in the film. wow dude…that was a really good analyzation, i didnt even put that together! An interesting article by Mr. Garrett, especially to myself, being an owner of a `73 SS 350 4-speed. The `73`s don`t get much respect, compared to the earlier models, but I always liked the styling of the `73 Chevelle and Cutlass. The front bumpers are bulky looking though. the director told ryan gosling to pick any car he wanted. so ryan picked this one. thats all. I own a 1973 Laguna Chevelle, running with matching numbers, straight body, anybody want to buy it? Drop me an email Rick and we’ll be in business. 1973 Chevelle Malibu Colonnade. trying to sell for my mother. She’s the 2nd owner and has had the car for 20 years. The car is listed on craigslist LA. Thank you for your time. Be happy to, what is your email address? im pretty sure that its an rpm gauge right in front behind the wheel and looks like an opgi gauge cluster probably battery/oil/gas in front of his clock. does anyone know if his car was auto or manuel trans? I’m pretty sure it was auto because he’s usually driving with his right hand only which would also be his shifting hand. Also, when he’s driving irene to work they are stopped at a red light and when it becomes green he just puts his right hand on the wheel and drives off, no putting it in first. My Standard Catalogue of Chevrolet does not list a manual for the 1973 Chevelle. i have a 1973 chevelle malibu colonade. it has 72,000 original miles. super clean inside and out 350 2 brl. green in color. this car is all original. i am the second owner. runs and drives great. it went from the sellers garage to mine. trying to find out what was the original tires that came on the car. any help appreciated. Since your car is equipped with a V-8, it came with G78/14/B black sidewall bias belted tires. Probably Goodyears. Jerry, How many of the 4 door malibu laguna colonade’s were produced? I know according to the serial number that it was made in San Antonio. They’re not recorded by trim levels, such as the Colonnade – just by Chevelles, of which there were 367,614 V-8 models made. I can tell you that the factory price for an E-29 body style was $3,179. Great article on a rare car. FYI I am helping my mom sell her 1973 Chevelle Malibu Colonnade. 2r. 350 engine and trans. Factory air and rallys. .Surface rust and dings, but no accidents. Mom mom has driven this car for 20 years and bought it off the original owner, who was 85 at the time. The car is nearly all original. My bother has kept it runner for her, but no attention was given to the interior. The engine is strong, however the trans needs work. The car is in Monrovia, CA. I have it listed on Craigslist LA. Someone sent me a test yesterday and I have to apologize for accidently deleating it. I can answer most questions, or can get the info from my brother. Thank you for reading this. do you have photos of ss?? how much money?? How much for 73? Any photos of It? I like the Chevelle, but this claim sounds odd to me, if you talk about Modelyear 1973. The Saab 99 had (up to 5mph) impact absorbing (rubber) bumpers since modelyear 1972 (fall 1971). I’ve got a really nice 73 with a 500hp 383ci stroker small block. I’ve had it since 05…lots of people back then said “why should you want a 73 chevelle?” Simple answer? Because unlike the Camaro, Corvette, Mustang guys, When I go to a show… I have the only one there! The 73 is pure masculinity… It’s the open, shirt, hairy chested, gold chain wearin’ dude cousin of the 72 Chevelle. Have had 2 73 SS cars, both 454. First one would fly.Changed to early oval worked and shaved heads and a mild hyd cam and could cruise at 120 waiting for any challengers. Weren’t many back then. Now have one with gears, stall, 496 solid roller, rocks. Very few understand these cars. There were nearly 5000 ls-6 1970 chevelles built, only 2500 big block Chevelles period. Adding fiberglass, tube chassis, more inches, keep street legal, bring ’em on. I have a 73 454 4 speed SS with 49000 miles. Bought it from my dad in 1975. 90% + original. Still have original wheels and tires. Looking for offers. This article is awesome! Very well written an informative!! Kudos to you!! this is one great car..the movie drive is nice. Interesting. My first car at age 16 in 1988 was a 1972.5 Chevell Malibu. At least I’m pretty sure it was considered a 72.5. It was Maroon with a Tan/White Vinyl top. Round tail lights. The laguna had square tail lights. I believe mine had a 350 w/ a 2bbl carb. Just purchased a 1974 Laguna 454 4 speed numbers matching car… watch out ladies and gentlemen this will be interesting to see how the market responds when the restoration is completed. Full frame off restoration is planned and 4 speed consoles will now be available, for everyone to enjoy. I need feedback for the appreciation on the 73-77 body styles, these cars can be restored with nos, good used parts and completed with out ruining it with the aftermarket tunaboat parts made in places where quality is not # 1 and quality is. This is a terrific, detailed post. What has been bugging me is “what are the cars the driver and the mechanic pass by in the garage before the opening chase”? To me they all look like Buick Wildcats or Chryslers or something. Can you tell me what they are? Not down to custom or year or whatever, but just make/model? A bit of personal credibility and/or a bet may hinge on this. Also, the first time I saw those schoolmom tailights on Gosling’s car, I thought just one thing, since I would have been very, very, very young at the time of the car’s production–AMC Matador. These cars do have some similar looks–did they actually have anything in common on any kind of basic level, beyond what someone like you would really know? Thanks again for the really broke down post. The easiest way to tell is probably to just go to the imcdb.org website and look up Drive. One of the things about watching drive the Chevelle in the movie is if you listen to the soundtrack , when he pulls away from a light you would swear that it’s a stick ! And I’ve read that it’s an auto. Does anyone agree with this!